Richard Overly met Eva Reich at one of her workshops in Dayton, Ohio, in 1985. Impressed with the changes that happened in the lives of those treated with Gentle Bio-Energetics techniques, he attended all the workshops Eva presented in his area through 1990. Richard used the tools in his private practice, assisted Eva in her workshops, and started teaching his own workshops with her endorsement. 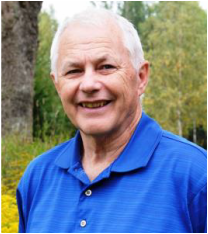 In 1991 Richard moved to Asheville, North Carolina to continue working in private practice and teaching Gentle Bio-Energetics. Here he began to author training materials in consultation with Eva Reich and to share his vision of making Gentle Bio-Energetics available to many more people worldwide. In 1997 interested individuals helped establish a not for profit organization, the Gentle Bio-Energetics Foundation with that vision as its mission. The name was changed to Gentle Bio-Energetics Institute to more accurately reflect our commitment to education, in 2002. Richard is our master trainer. He currently trains students in Latvia, Poland, Greece, Singapore, United States, Latvia and Estonia as well as students who have come to the programs from other countries. Sandra began with the Institute as a student and has evolved into one of the most important people in its existence. She has assisted in many workshops including Singapore and Latvia. Sandra is a Certified Gentle Bio-Energetics Practitioner and Certified Trainer. She also is Certified to teach Butterfly Touch Massage and to train others to teach it. In addition she has served as the administrative leader of the offices in Asheville for many years. In this capacity she coordinates the continuing education program, the financial structure, and the difficult things. She has been and continues to be a vital cog both in terms of training and therapy and administration of all that we do. Sandra holds a master's degree in Counseling from Western Carolina University and is trained and licensed as a Massage and Bodywork Therapist in North Carolina. Ilze assisted Ivar in organizing our first international training in Latvia and Europe. She studied and practiced Gentle Bio-Energetics continually seeking out supervision through the internet and direct contact organizing supervision sessions with Ivar. As a result, Ilze was the first person in Europe to complete the certification process to become a Certified Gentle Bio-Energetics Practitioner. 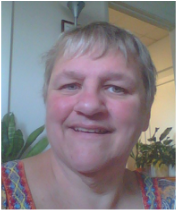 After Ivar’s illness she became the primary organizer and was responsible for programs developing in Estonia and Lithuania. She assisted in trainings and now is at the level of Certified Gentle Bio-Energetics Trainer, Certified Butterfly Touch Massage Instructor and Certified Butterfly Touch Massage Instructor Trainer. As a result of her efforts in coordinating the work of others the Gentle Bio-Energetics: Theory and Tools for Everyone volume and Butterfly Touch Massage were translated into Latvian, again a first for Europe. 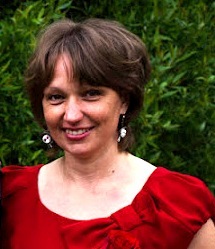 Ilze was instrumental in organizing the Latvian Gentle Bio-Energetics formal organization. In addition, as a result of her work in organizing and advertising students came from Greece, Poland, and Cypress to study in Latvia and then took the work back to their own countries. As a result of her efforts a significant number of people have been certified in Gentle Bio-Energetics and Butterfly Touch Massage to spread Eva’s work. Marta Targonska went back from the Gentle Bio-Energetics training program in Latvia and started to organize training programs in Warsaw. She had some help from Kasia and Koryna which was valuable. Marta developed her own skills and got the DVD and book published in Pollish by Virgo. She has continued to organize other 8 day training programs the other shorter workshops. She is also using the tools in her own work as she proceeds to certification. She is certified to teach Butterfly Touch Massage. She has organized the Gentle Bio-Energetics Institute of Poland. The first Gentle Bio-Energetics 8-day training was organized by Stergios Tsiormpatzis in Athens, Greece. He also self-published an edition of the Butterfly Touch Massage book and dvd into Greek (two editions), copies of which are out of print. The book and dvd are being re-edited and will be published soon by members of the GBE community in Greece in a new edition, officially endorsed by the author and the GBE Institute. Since 2012 a few people have assisted in organizing consecutive GBE training programs (8-day trainings, supervisions, one Butterfly Touch Massage Certification program, Good Beginnings training programs, and introductory presentations to conferences) in Athens and Ioannina (north of Greece). Maria Andreoulaki and Sue Scandale, participants from the 2012 8-day training, have been consistently assisting in training programs from 2012 until today. The directors of The Reich Center in Athens, Marilena Komi and Despina Markaki, as well as Oly Patsoura and Chryssi Christakou have been involved in the past with organizing GBE trainings. Since 2015 Maria has been the main organizer, contact person and co-ordinator for training programs in Greece, and Sue for Cyprus. The GBE community in Greece is expanding with new active, enthusiastic members who participate in translations of training materials, supervisions, group practices, and discussions on GBE. Sue is the first Certified Gentle Bio-Energetics Practitioner in the Greek part of the world and is also endorsed to begin teaching in Cyprus having assisted Richard Overly leading 8 day training programs. Both she and Maria are Certified Butterfly Touch Massage Teachers and three other trainees, Alia Zae, Sophia Tsoumaki and Stella Katsogianni, are working towards their BTM Teacher certification. Maria has started to teach the Butterfly Touch Massage in Bulgaria and will soon be presenting an introduction to Good Beginnings there as well, creating a growing Bulgarian community of interested trainees. The Greek-speaking GBE community will soon be having a Facebook page at: […] with materials exclusively related to GBE.